You’ve gotta love a bit of sparkle and like it says on the card, sparkle never goes out of style. 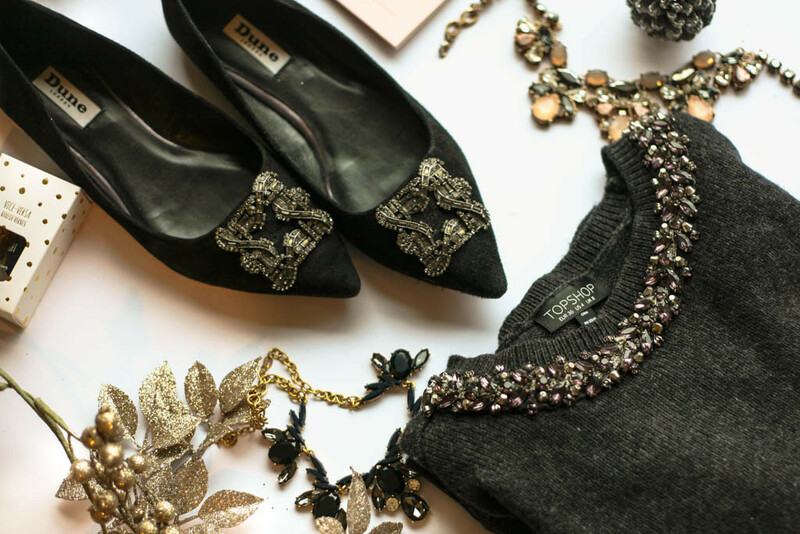 Whether you want to go all out or just add that little touch, here are my tips for adding some sparkle into your look. 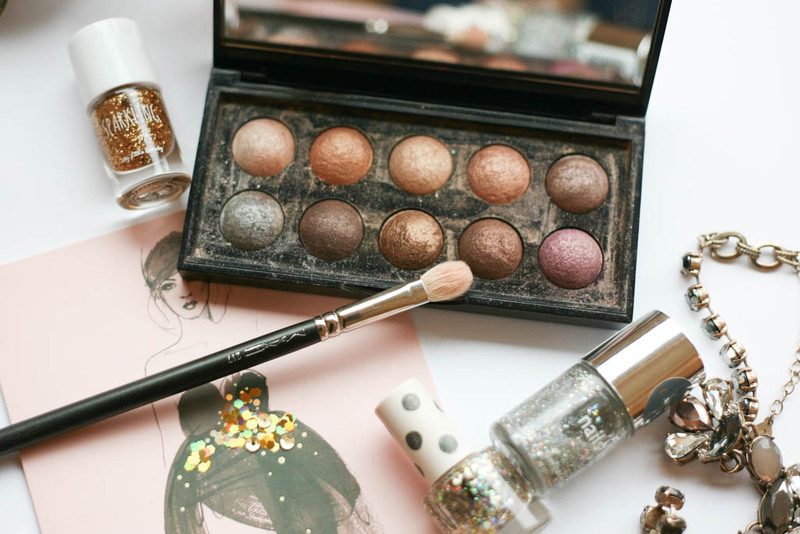 When it comes to makeup, sparkly eyeshadow never goes amiss and as always I like something that you can wear both during the day as well as for a night out. This baked eyeshadow palette from Sephora is great for just that and if you apply these eyeshadows wet they become even more vibrant. Of course for the nails a glitter top coat is perfect. The ones I have here are from Topshop and Nails Inc and you can always keep things simple by just opting to apply it on an accent nail. I always keep an eye out for cute gem detailing on clothing as it makes even the most basic of items look that bit more interesting. Even if it’s just a brooch, a beaded collar or some all out sequins, I’m gonna gravitate towards it. Take this Topshop jumper above, I’ve had it for ages and the gems around the collar just bring this grey jumper to life. Alternatively a sparkly shawl or scarf is always great as it keeps you warm and stylish at the same time. The one I have pictured above is something I picked up from Warehouse and the threads have a glitter running through it that makes this a statement piece. 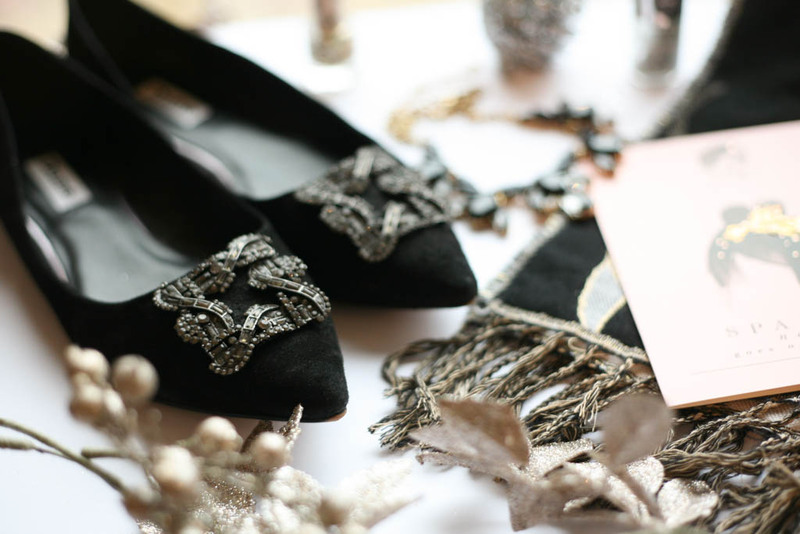 I also love these flats I bought from Dune last year as they are so Manolo Blahnick esq but without the price tag of course and great for channeling your inner princess. 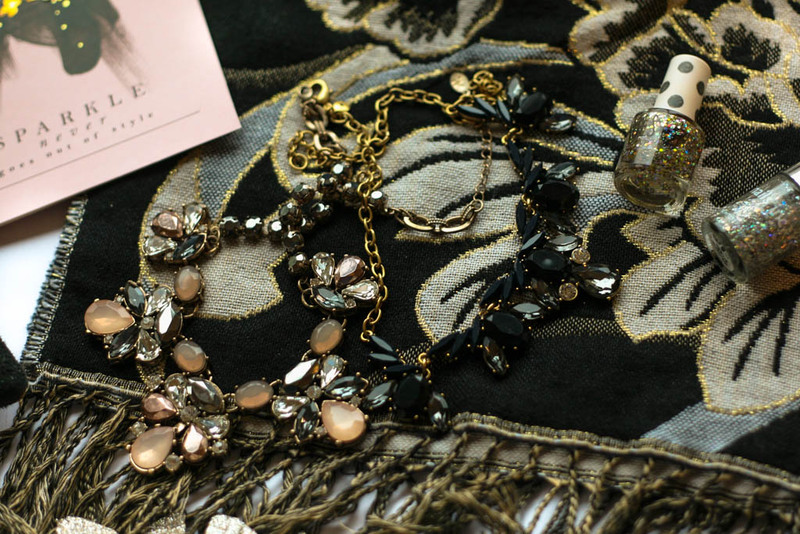 Lastly, what better way to add some sparkle than some statement jewellery. I think I’ve said it before but whether it’s a necklace, a cocktail ring or some hair accessories, it really does add a finishing touch to your look.